A sustained trend of physicians leaving private practice and entering employment arrangements with hospitals, health systems, or affiliated medical groups has occurred over the past decade.Typically in physician employment arrangements, the hospital acquires the physician’s existing medical practice and simultaneously employs the physicians or contracts with the physicians via a professional service agreement (PSA). Both the acquisition and compensation arrangement under the employment or PSA must be within fair market value (FMV) limitations and commercially reasonable (CR). The three generally-accepted approaches for business valuations are income, market, and asset-based. Income Approach. The Income Approach considers a present worth analysis of anticipated future benefits. The appraiser converts estimated future cash flow to present value based on an appropriate discounted rate of return to derive total value. Market Approach. The Market Approach applies a comparative analysis of prices paid for similar assets in the marketplace. The appraiser estimates value by using transaction multiples derived from sales of comparable healthcare entities or comparable publicly-traded companies. Asset-Based Appro The Asset-Based Approach, also called the Cost Approach, estimates the fair market value of the assets and liabilities comprising the entity. The appraiser values both tangible and intangible assets and liabilities individually and then aggregates these to derive total enterprise value. A summary of these approaches follows in the next section. The income approach, particularly the discounted cash flow (DCF) method, is the approach and method preferred by most appraisers to value operating healthcare entities. If applied appropriately, this method generally yields the most accurate value of the business because it considers the specific facts and circumstances surrounding the entity. The DCF method values the business based on the future cash flows it is expected to generate. It is important to keep in mind that since physician-hospital transactions are generally governed by the standard of FMV, the benefits to be brought in by the buyer (i.e., synergistic values) cannot be taken into consideration. Factors that may result in synergistic values include volume growth to be driven as a result of the hospital alignment, any downstream related revenue (i.e., referrals by the physician to hospital-owned specialists or ancillary services), cost savings realized by being part of the hospital, or any potential increases in reimbursement through billing under hospital contracts. Post-transaction physician compensation arrangements, as agreed between the hospital and the physicians (rather than historical compensation or survey data), must be considered in valuing a medical practice. In most closely-held medical practices, physician owners retain all practice earnings as compensation, which typically leaves little or no income/profit to the practice. Thus, in instances where post-transaction physician compensation (which must be compliant with the FMV standard and commercially reasonable) is consistent with or exceeds the historical levels, no value can be derived under the Income Approach since the physician compensation essentially wipes out all earnings and cash flows generated by the practice. In essence, since the physician is the practice (and without the physician, there would be no practice), any sort of “goodwill” is paid to the physician owner over time in the form of ongoing compensation under hospital employment, rather than via an upfront payment in the acquisition of the practice entity. The Market Approach utilizes multiples from transactions of comparable private and/or publicly-traded companies to apply to the practice’s financials. This approach is easy to understand.However, it is difficult to apply appropriately when valuing medical practice because there are essentially no publicly-traded medical practices and it is difficult to find transactions that are comparable to the subject practice. If post-transaction physician compensation is consistent with or exceeds historical levels, generally the Asset-Based Approach is used to value the practice, due to the lack of positive cash flows. This approach values the practice based on the tangible and intangible assets (Assets) comprising the practice. Tangible assets, such as medical equipment, exam tables, desks, chairs, computers and other IT equipment, and other furniture and fixtures, including financed assets, or assets under capital leases. Supply inventories, including office and medical supplies. Potentially Electronic Medical Records (EMR)/Electronic Practice Management (EPM) systems, if compatible with the system in use by the hospital. Potentially active medical records, which consider the reproduction costs relative to their creation. Potentially assembled and trained support staff workforce. The consideration provided to the physician will vary based on the assets the hospital will pay for these transactions. Circumstances will need to be reviewed on a case-by-case basis. As discussed above, in physician-hospital transactions, post-transaction physician compensation heavily influences the practice’s upfront value of intangible assets/goodwill. Physician compensation arrangements must be factored (as an expense) into the valuation calculation under the income approach analysis. The higher the physician compensation, the lower the upfront value. If post-transaction physician compensation eliminates positive cash flows the practice is expected to generate, minimal upfront practice value will result. This scenario occurs frequently and leads to physicians contemplating hospital employment to question the valuation and why they are receiving so little, considering how long they have been practicing, the name in the community,the business they are sending to the hospital,and similar factors. In most cases, much (if not most) of a practice’s value is maintained through physicians of the practice, as patients typically return to a practice based on the relationship with their physician. Thus, a practice’s income may potentially be affected by the departure of long-time physicians. The value for the physician is not in the upfront practice sale but rather the physician’s compensation. The fact that there are no significant monies paid up-front does not mean that the practice has no value. Instead, the value of the practice will be paid via ongoing compensation received by the physician.Furthermore, given the (typical) long-term nature of the physician employment arrangements, it usually results in greater cumulative financial benefits for the compensation amounts to be paid over an extended period. In addition to increased salary, the risk is reduced, as the physician will no longer need to spend significant amounts of time on administration, negotiating with payers, incurring capital expenditures, etc. The physician may also have access to better/cheaper benefits than in private practice. Additional considerations related to the value in physician practice valuations are as follows. A physician nearing retirement may desire a higher upfront payment for the practice, as he or she may just continue to practice as an employee for a limited time post-transaction. This would only be possible if the physician is willing to take less compensation as a hospital employee. Under the income approach, the valuator must account for the decreased compensation in the projected cash flow, as well as the change in compensation that may occur with a physician who replaces the selling physician upon retirement.Accounting for the replacement physician may not lead to additional value under the income approach. Additionally, the physician must understand that to receive upfront values exceeding tangible assets, post-transaction compensation must be consistent with what is assumed in the valuation. For example, two years into the employment arrangement, the physician cannot demand increased compensation. Similarly, situations occur where a practice may employ physicians and advanced practice providers, whereas such providers are on a relatively fixed compensation structure, and the shareholder physicians’ income may be augmented by profits made upon such employed providers. 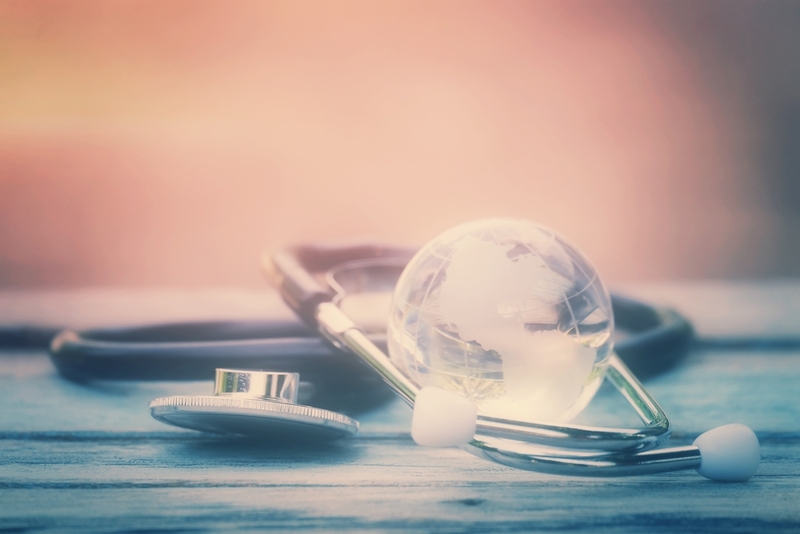 Potentially, such profits may lead to private practice compensation greater than the hospital employment compensation, and an income approach methodology may be considered to provide upfront goodwill value to the shareholder physicians. However, the valuation must take into account the post-transaction compensation arrangement with not only the shareholder physicians but also employed providers. If employment agreements are in place with employed providers, and such providers are anticipated to transition with the practice, then current compensation may be used. A comparison of private practice and post-transaction benefits should also be considered. In the case where the employed providers are underpaid, the hospital may have to provide the employed providers a higher level of compensation post-transaction. The valuation must account for such possible changes, which may wipe out any inherent goodwill for the shareholder physicians. For practices with significant ancillary services (i.e., cardiology with cath lab), it is not uncommon for discussions to center on “carving out” such ancillary services from the professional practice and performing two separate valuations. If the practice is effectively being transacted in its totality (whether via one single transaction or a series of transactions), the valuation of must be carefully developed to avoid the potential for “double dipping.” Instead, the practice value must be reviewed in its entirety. It is important to perform operational and financial due diligence, including a review of the practice’s revenue sources and coding patterns. Such items are needed to understand the practice’s contribution to the hospital post-transaction. The valuator must understand the practice’s operations and financials, as well as the details regarding the post-transaction arrangement between the hospital and physician. While many transactions are relatively straightforward, the hospital and valuator must ensure that all factors are considered to provide a competitive offer to the physician, while still meeting FMV and CR parameters.